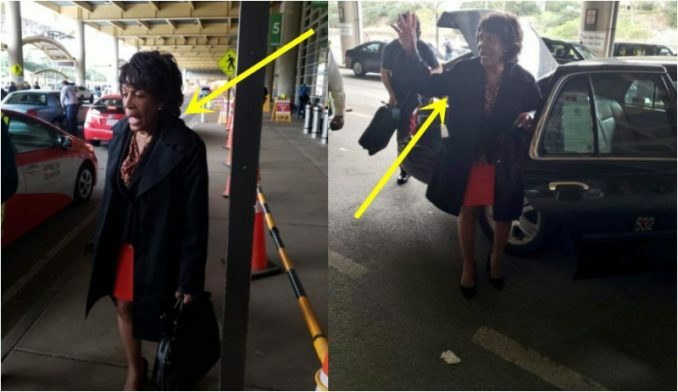 Rep. Maxine Waters thought she was just a little more important than the other passengers as she exited Reagan International Airport on Monday afternoon. “Who in the hell does she think she is?” asked one traveler. Well, the entire situation was caught by someone who the California Democrat never saw. You don’t want to miss this. Maxine Waters proved these Democrats in Congress do not think they are part of the regular American population. 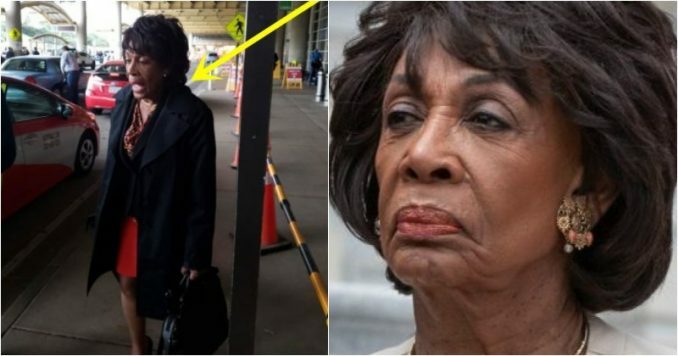 No, Auntie Maxine is such an important person now that she doesn’t waste her time waiting in lines at airports. Well, she made a real fool out of herself. The car she got into was not in the pre-arranged pick-up lane. Still, it is jarring that a committee chairwoman would get into a random taxi and not arrange a ride. The Mirror sought comment from Waters’ press office on her bypassing the taxi line. A response did not arrive by press time. A taxi dispatcher at Reagan Airport responsible for arranging rides for passengers, said seniors are not readily allowed to skip the line. Unless they need extra help or are using a wheelchair, they must wait for a taxi to become available. “Who the hell does she think she is?” the “spy” asked. Waters is hardly the only lawmaker to use her status to bypass social norms. Rep. Sheila Jackson Lee has a far more astounding history of behaving badly on planes and to her staff. She has also reportedly lashed out at her own aides, calling them “stupid motherf*ckers” and demanded that they open her car doors and remove her shawl. Like it or not, public officials have demands and they get special treatment. Longtime Democratic sycophant Philippe Reines was famously dubbed the “purse holder” after the New York Times reported that he lugged around then-Secretary of State Hillary Clinton‘s handbag. And it seems nine times out of ten it’s the Democrats who are acting like entitled spoiled brats, even though Congressmen typically don’t have an entourage or bodyguards. Well, Mad Maxine thinks she’s become so important she rivals Queen Elizabeth II, and people need to bow down and clear the way for the “Poverty Pimp” from South Central L.A.